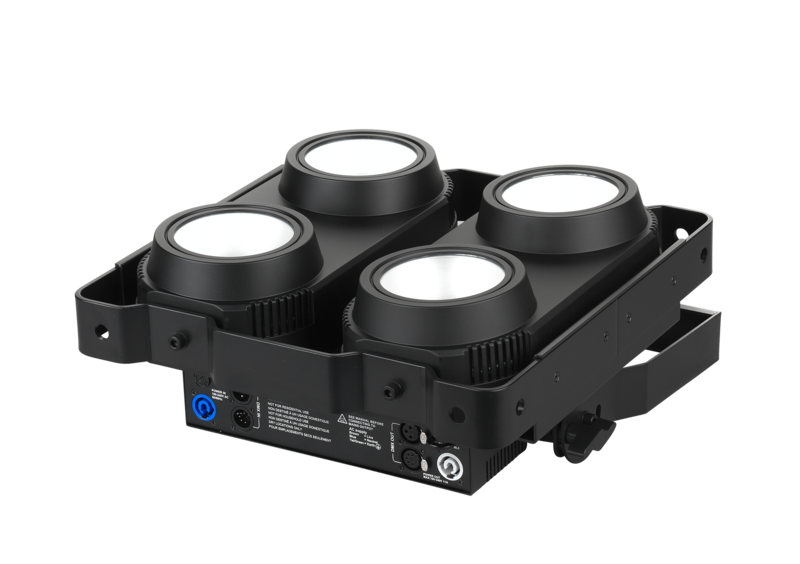 The RUSH BLINDER 1 WW is an ultra-bright quad LED blinder fixture. 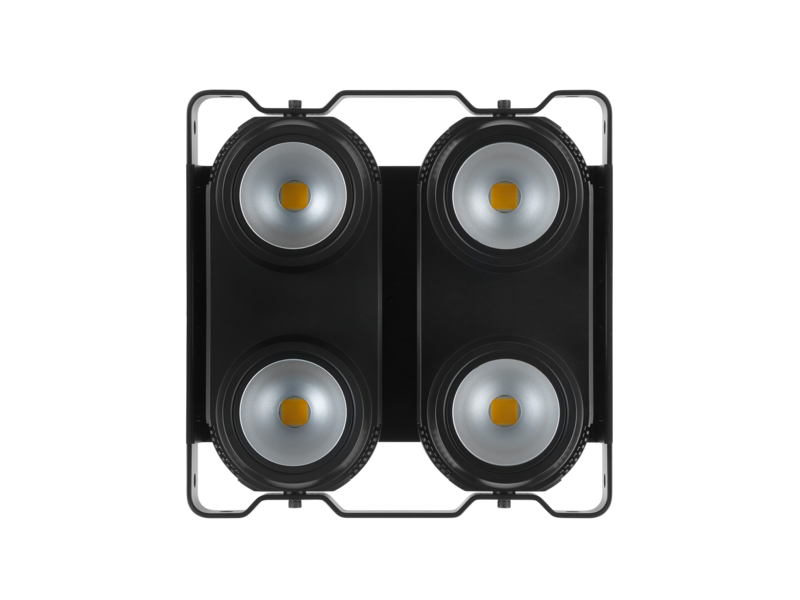 The 2x2 blinder features a PAR array with four individually-controllable 100 watt COB warm white LEDs, providing high-intensity light for a variety of entertainment events. 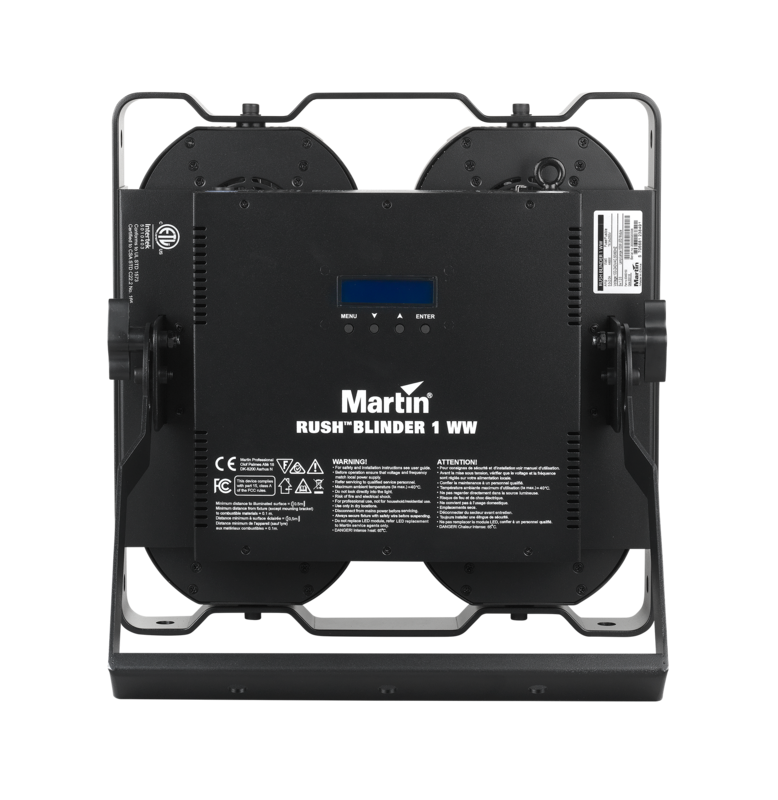 The unique frame on the RUSH BLINDER 1 WW offers the ability to attach multiple fixtures together in a grid pattern. 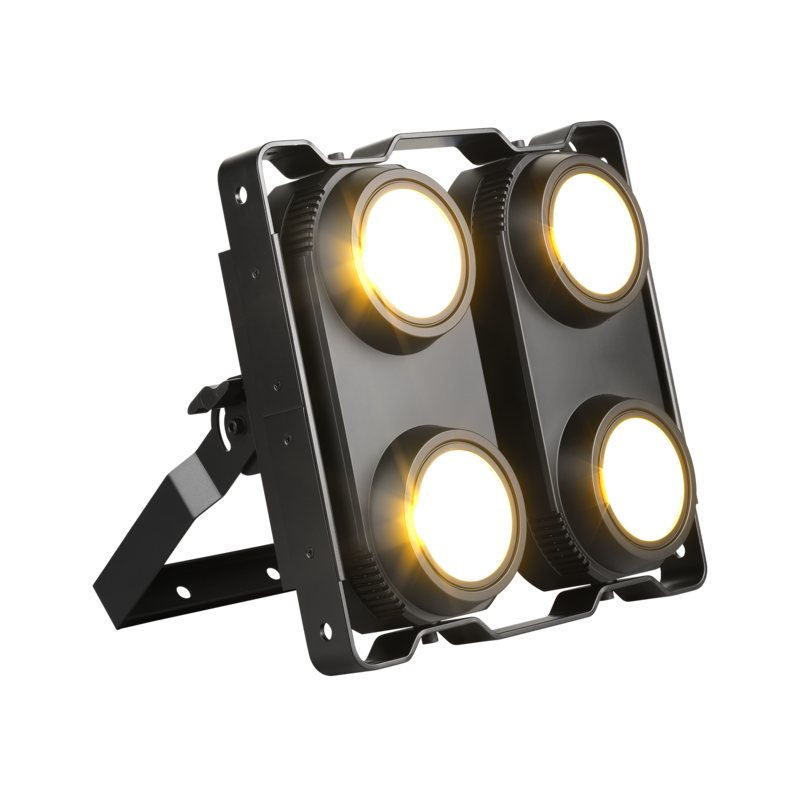 With individually-controllable COBs, multiple units can be used to create pixel effects across a grid of fixtures, with on-board electronic dimming and strobe also available. 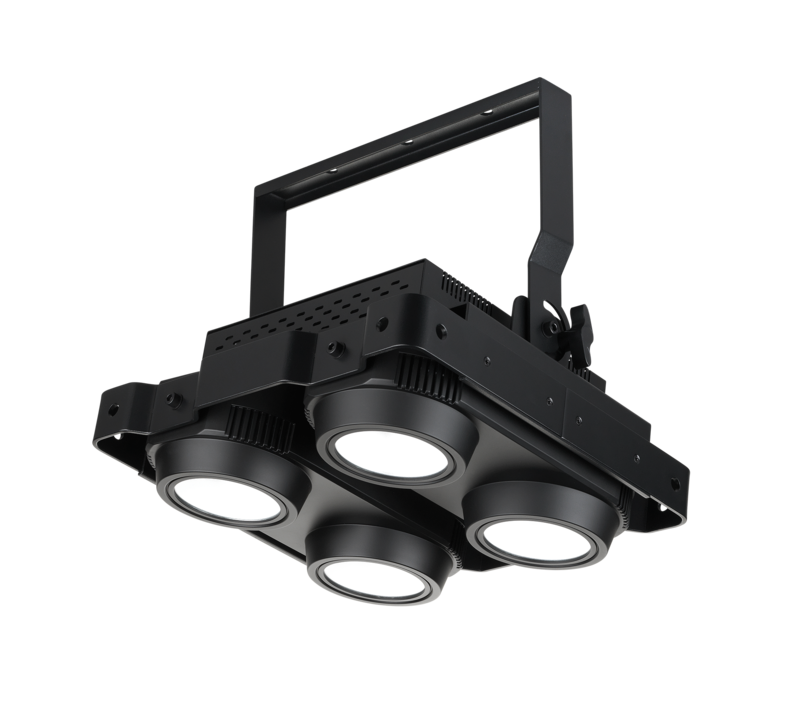 The fixture offers a wide 70° beam angle, with a combined 19,000+ lumens output from the fixture for truly brilliant effects. 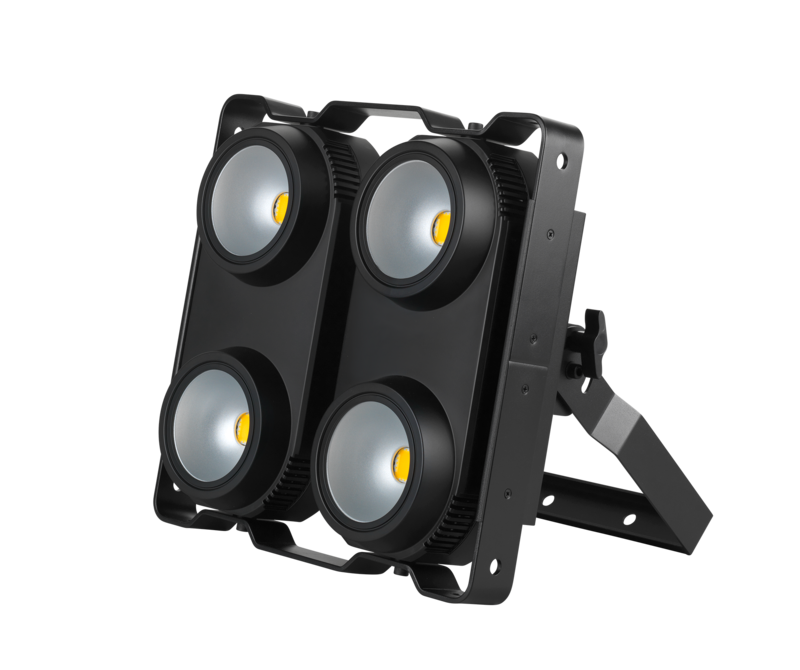 The rugged, lightweight construction and available brackets for floor or truss mounting make the RUSH BLINDER 1 WW ideal for live shows, TV events, stage, concerts, and nightclubs. 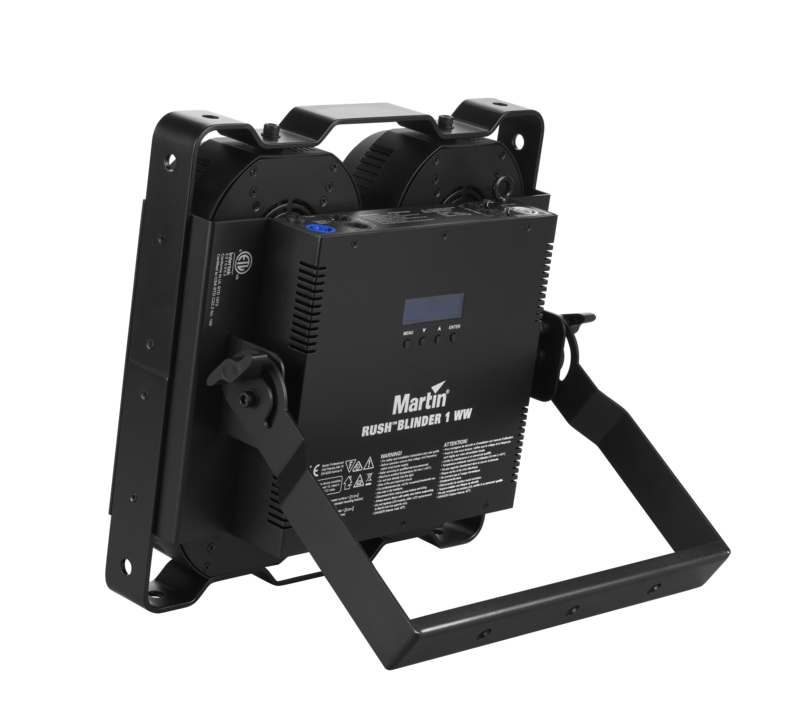 Typical Power and Current100 V, 60 Hz: 432 W, 4.3 A, PF 0.998120 V, 60 Hz: 428 W, 3.6 A, PF 0.996230 V, 50 Hz: 426 W, 1.9 A, PF 0.956Measurements made at nominal voltage. Figures are typical, not maximum, allow for a deviation of +/- 10%.